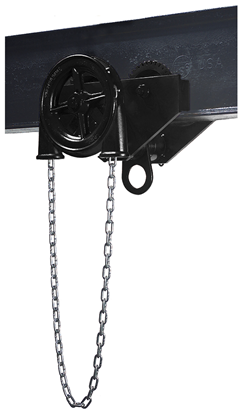 Hand Chain Over-Hauled to Lift Load One Foot: 205.5 ft.
Frame: The frame of the USA Series Hoist is a tough, impact resistant, lightweight, heat treated, permanent mold cast aluminum alloy. The frame is heavily proportioned, designed primarily for rigidity to hold the gears and bearings in close alignment. The frame with the covers encloses all operating parts protecting them from dirt and the weather. Overload Device: The chain wheel, in addition to having pockets accurately formed to receive the links of the hand chain, also forms a part of a unique patent pending overload device as a standard feature. 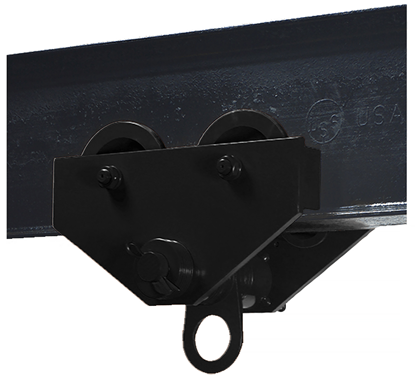 The overload device is calibrated for the capacity of the hoist and factory installed as an added measure of protection for the load, hoist, and operator. Load Chain: Closely calibrated chain links of special analysis alloy steel formed and heat-treated for unusual strength, carbonized for long wear and usage. The links are accurately formed to fit the pockets of the load sprocket. 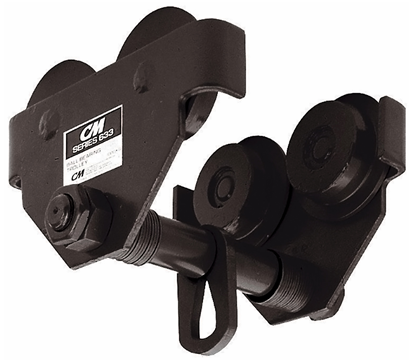 Hand Chain: The hand chain is welded steel and zinc plated for corrosion resistance and "clean hands" operation. 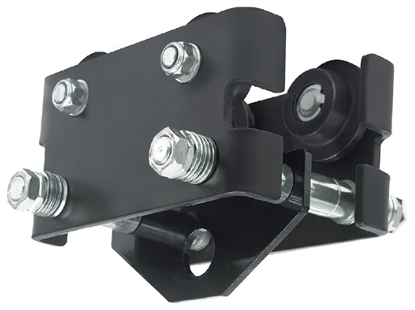 The chain links are accurately formed to fit the pockets of the chain wheel, for gag-resistant operation in the chain wheel and guide arrangement.